One of the most popular fields of study within an MBA is that of finance. Students who choose to pursue this course of study will acquire very specific financial skills necessary for employment in a wide range of industries. Most students will complete the course through internship opportunities that they will participate in while completing their studies. Those who successfully complete the required curriculum will be rewarded with higher salaries and better employment opportunities after graduation. This type of program is a good fit for those who possess strong quantitative backgrounds. Students will acquire a broader knowledge of finance applications in a wide range of topics and industries. Finance majors will learn skills in a number of different fields to become financial analysts, financial managers, or personal financial advisers. The program is geared toward those individuals who are already working in the field but are looking to expand their careers to incorporate and explore higher-level employment opportunities. For those wishing to pursue this type of MBA, students must meet several prerequisites before they can proceed. Students must demonstrate a high competence in mathematics and a strong knowledge of economics. Some Finance MBA programs require you to meet very specific guidelines prior to acceptance, so a Bachelor’s degree in finance would be considered a minimum prerequisite, and additional courses may also be expected. The curriculum that fall under a Finance MBA are usually pretty flexible and can be tailored to your specific area of concentration. Some may be completed in as little as one year and can be done online. Many programs have been specifically designed for those who are already employed in the field and are just looking to advance their professional goals. In addition to the core programs offered, you will be expected to develop interactive skills as you work alongside other students, faculty members, and industry professionals in areas of networking and communications. As you progress through your program, you’ll be able to decide on your area of specialization in the field of Finance. Specialization in specific industries like Energy or Equity Analysis can help a student to stand out in this competitive job market. You’ll also have the option of pursuing specialized certification opportunities such as Chartered Financial Analyst or a Certified Financial Planner that can also improve your employment prospects. According to the US Bureau of Labor Statistics, this area of Finance is expected to see a moderate increase in the immediate future. There will be serious competition for any available positions unless you acquire some type of specialization certification. One way to be more competitive in the job market is to get some first hand experience through internship programs from major corporations that offer opportunities specifically designed to develop and hone in the skills of future financial managers and financial analysts. Most schools will offer academic credit for those who take advantage of these work-study opportunities. The average salary expected for Finance MBA holders will depend largely on the career path; however, analysts estimate that the median annual income of $81,250 is about average for most positions, while a Chief Financial Officer should be around $117,415. This higher salary rank is what makes pursuing this type of career more competitive than other similar MBA programs. Since entering the field does not necessarily require a Master’s degree, finding employment after you’ve received a Bachelors Degree may help you get your foot in the door. 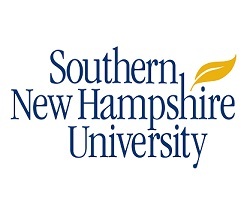 Southern New Hampshire University – (Featured Partner!) You can greatly increase your marketability by learning the latest financial management and investment analysis skills with this fully accredited, online MBA with no GMAT. This program is well suited for professionals who work as security analysts, investment brokers, project analysts and financial analysts. Also, you will learn how to handle short term financial management and capital budgeting. Capella University – (Featured Partner!) With our online self-designed MBA degree, you have the freedom to choose courses that build the skills to help you take control of your career. Master traditional business disciplines such as accounting, finance, marketing, operations, strategy, and data storytelling, and tailor your elective courses to fit your professional goals. Choose from any eligible Capella graduate-level course, including IT, project management, psychology, health care, and more. Northeastern University Online – (Featured Partner!) In this concentration, you will focus on investment analysis, mergers and acquisitions, and the creation of value. You will grow your ability to perform effective risk analysis, capital budgeting, foreign direct investment, capital budgeting and to manage foreign currency risk. 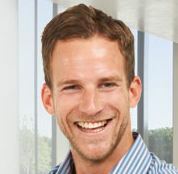 You also will learn a great deal about crisis management, and how to deal with bankruptcies and liquidations. Florida Tech University Online – (Featured Partner!) The business environment today is always changing, and so is the role of finance. The finance professional today needs to do a lot more than just crunch numbers. You will need to have the knowledge and skills to give your company the proper vision and a balanced approach to taking financial risks. This program is rooted in the proven case method approach, and there is no GMAT requirement. Regis University – The MBA from this university with a specialization in finance and accounting will ready you to assume key roles in the management of your firm’s fiscal operations and policy. You also will gain expertise in the most important financial areas, and will develop important skills that are essential to leadership in business. This program is fully accredited and there is no GMAT required. University of Tennessee-Martin – This online MBA in finance is designed for professionals who work in the financial services industry, including loan officers, managers, human resource specialists, accountants, auditors and various business managers. Other types of professionals may apply, but the focus here is on an online program for professionals who are working full time in the financial services industry. Marylhurst University – If you choose to earn your MBA in finance, you will have the opportunity to work on corporate and international finance, and also to analyze real world investment decisions. You also will perform risk assessment and learn about the many ethical concerns with business today. You will learn about foreign capital markets and study economic effects both here and overseas. Walsh College – In this MBA program, you have the chance to earn both your MBA and a Master of Science in Finance. In the MBA program, you will study accounting, finance, management and other areas that are critical to success as a business manager. The finance program will provide comprehensive education in all areas of the finance world, economics, blending accounting and more. You will study the most important financial issues, interest rates, capital markets, investments and financial analysis. Colorado Technical University – This program is made for students who want to improve their skills in the analysis of financial information. You will be taught by expert instructors with great amounts of experience if the field of finance. You will learn everything that you need to know to succeed in the world of finance in the 21st century.